Chef Tory McPhail grew up on his family’s farm, eating fresh, locally sourced foods and gaining an early appreciation for their origin. His farm-to-table childhood provided a basis for Tory’s lifelong passion for natural foods. I want people to feel like their food tells a story of a time and place, that it’s not just a collection of ingredients. 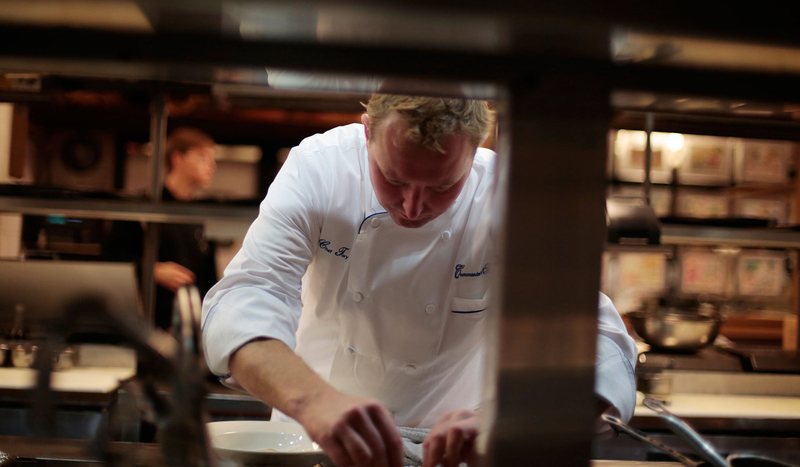 Chef Tory hails from Ferndale, WA, a small town near the Canadian border. 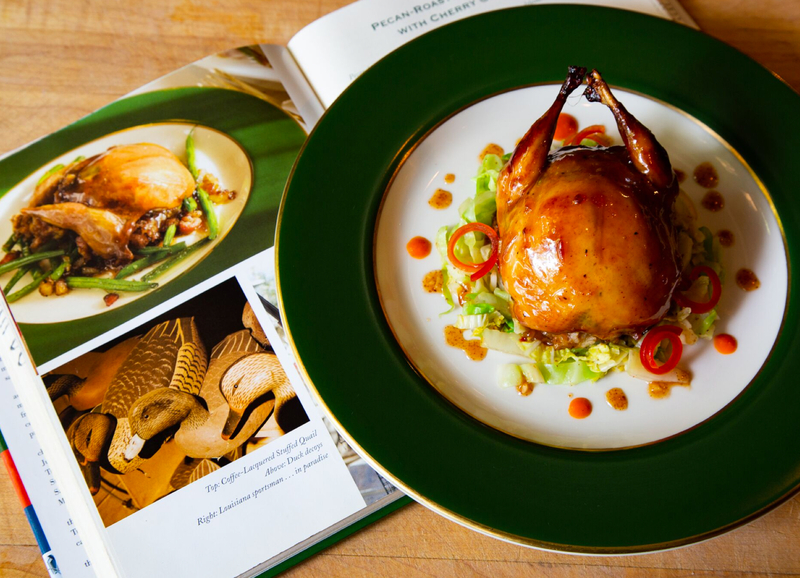 His interest in cooking was inspired by the large gardens he grew up around at both his parents’ and grandparents’ homes. Tory’s uncle owned raspberry farms, and his parents’ neighbors had dairy farms, apple orchards, and grew hay for livestock. Tory’s parents’ kitchen was a comfortable space, where something was always cooking. My adventure in cooking started at young age. When you teach a child how to plant a seed, water the sprout, pull weeds from around your plot, watch your plant flower and fruit, the food is going to taste better no matter what your recipe is. Tory’s first paying job was in grade school, picking strawberries during summer break. He credits this job with exposing him to kids from different neighborhoods and backgrounds, which ultimately opened up his world. After high school, Tory attended Seattle Community College and received an ACF-accredited degree in culinary science. After graduation, he answered New Orleans’ siren call and moved there to take in the city’s storied past, Creole cuisine, and, of course, Mardi Gras. At 19, he was hired by Commander’s Palace Executive Chef Jamie Shannon and moved swiftly through all 12 stages of the kitchen, impressing his boss and humbly honing his craft along the way. Chef Tory gained culinary experience in the U.S., U.K., and the Virgin Islands, including stints at the Breakers Hotel in Palm Beach, FL; the Michelin-starred L’Escargot in London, and its sister restaurant, the Michelin two-star Picasso Room. Chef Tory fell in love with the culture and flavors of the Caribbean during his stint at the Caribbean/Creole-intensive Mongoose Restaurant in the U.S. Virgin Islands. 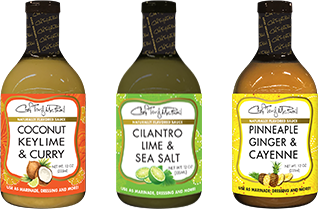 That desire to capture the essence and tastes of the region ultimately inspired his line of sauces. The goal of creating the sauces was to make those enjoying them feel like they’re on vacation at the islands. This is how Chef Tory likes to cook when he’s not fancying it up at Commander’s — with an easy, laid-back vibe, and creating simple, intense flavors. Chef Tory became Executive Sous Chef at Commander’s Palace Las Vegas in the spring of 2000, returning to New Orleans to become Executive Chef of the original Commander’s Palace in January 2002. Today, Chef Tory loves exploring a variety of flavors in his seasonal menus and embracing Creole traditions while updating classic dishes with fresh, local ingredients. He is involved in the Commander’s family of restaurants and the community, also traveling the world representing New Orleans food culture. In his spare time, Tory loves being active outdoors, swimming and paddleboarding, or just relaxing on the beach. He loves New Orleans, of course, and for many different reasons — from its rich history and traditions to its joie de vivre and occasional hedonistic flair. Chef Tory’s approach to sourcing food starts with asking the right questions. He cultivates relationships with his purveyors and has developed a reputation for being open-minded and honest during his dealings with suppliers and sources. I’d like people to turn on some Reggae music, crack a Corona, light the grill, and start cooking their own jerk chicken, BBQ pork shoulder, or charred shrimp with crushed lime and fresh cracked crab and lemon. Growing up in Ferndale, WA, had a profound effect on Tory’s work ethic; he started working odd jobs at a young age. His management style includes leading by example, being proactive, making a plan to tackle daily chores, and taking every opportunity to increase his knowledge of foods, spices, and flavors. He’s also passionate about mentoring young professionals getting their start in this business, crediting Chef Jamie Shannon, his own mentor and former boss, for showing him what it was like to run a big kitchen like Commander’s. To Chef Tory, food is not a collection of ingredients. Instead, it tells a story of a time and a place, be it a secluded tropical paradise or a bustling capital city. At the end of the day, giving back to the community, making every moment count, and carrying the torch of the incomparable culinary heritage New Orleans has accumulated over the past 300 years are what matters most to Chef Tory. I wouldn’t say that I’ve been instrumental in helping to shape the dining scene in New Orleans, but I’m honored to be a part of it. Receiving the James Beard Foundation’s 2013 Best Chef South Award. Being named one of the best chefs in the country by TheDailyMeal.com in 2013. Being Named Saveur magazine’s inaugural “Tastemaker Chefs” in 2012. The winner of the Great American Seafood Cook-Off in 2009. Serving on the Nutrition Advisory Board for Cooking Light magazine. Being a spokesperson for Wild American Shrimp, Old Bay seasoning, American Pistachio Growers, and Rouses. Being Named Taste of the NFL Chef in 2013. Becoming Young Leadership Council Role Model of the Year in 2016. Since 2001, Chef Tory hosted his own television show, “Off the Menu,” the Turner South Network original series for six years. In the show, you could see Tory fishing from an oil rig in the middle of the Gulf of Mexico, or hunting and then creating a sophisticated menu with the day’s shoot. You’ve probably heard New Orleans sometimes described as the northern-most city in the Caribbean. 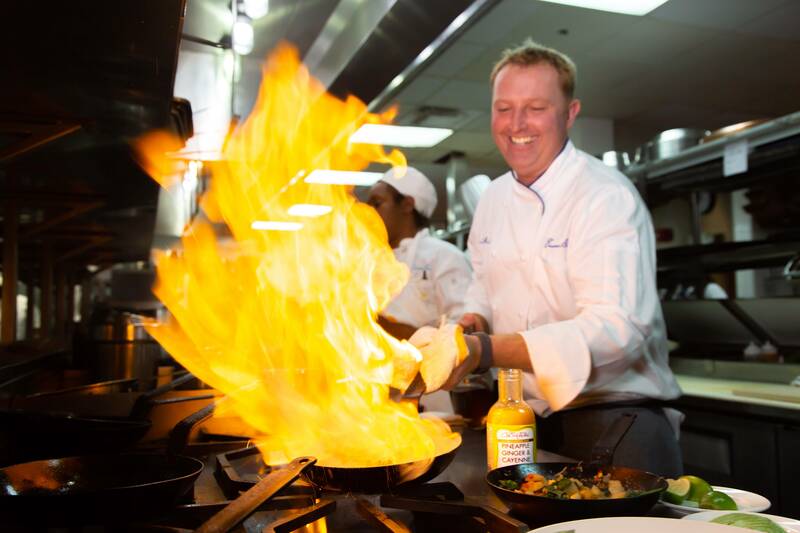 Chef Tory’s sauces draw on that aspect of New Orleans’ identity, along with his passion for island food. The history, discovery, trade, people, and culture that went into making NOLA what it is today is mixed, mashed, blended, and blitzed into every drop. 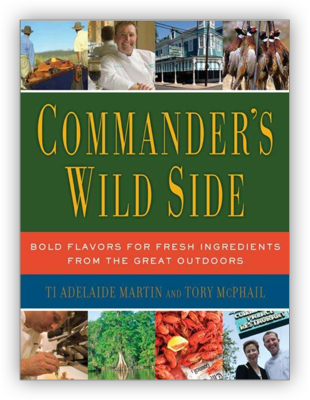 Chef Tory co-authored Commander’s Wild Side, a collection of his favorite, flavor-packed recipes from the restaurant’s legendary kitchen, with Commander’s Co-Proprietor Ti Adelaide Martin.